The investor and trader communities watch the economic indicators very closely as the release of these data have an immediate as well as volatile effect on the currency market. The three main types of indicators are the leading, coincident, and lagging indicators. The leading indicators change ahead of the changes in the economy and provide you with some idea as to what might happen prior to the actual occurrence. On the other hand, coincident indicators give an idea of the changes at around the same time as they actually occur. The lagging indicators provide an idea of the changes after the events actually occur and, therefore, are of little or no use when it comes to prediction. There is no doubt about the fact that interest rate decision is one of the major driver of the forex market, but the Fed watches closely several other economic indicators prior to deciding on the monetary policy during their meetings. 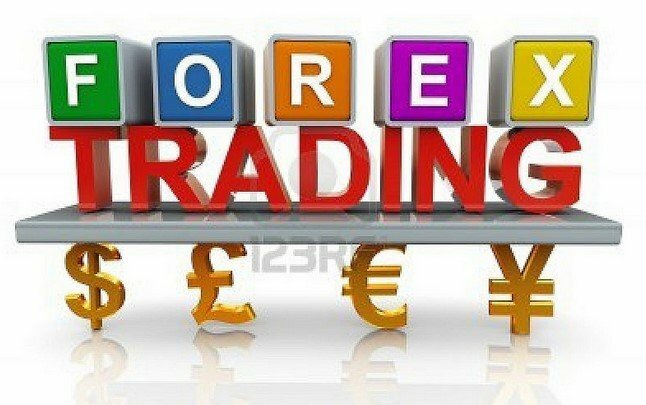 As a result, the list of high impact news releases given below is also of great importance when it comes to forex trading or investing in currencies. Interest rate decision drives the forex markets around the world. However, the Federal Open Market Committee or FOMC takes into account a host of economic data in order to judge the overall health of the U.S. economy. Based on an analysis, the Fed employs the tools at its disposal to raise, lower, or leave interest rates unchanged. Among all economic indicators, the GDP is by far the most important one. It provides an idea of the state of the U.S. economy. The GDP data is generally released on the last day of every quarter. It reflects the economic activity of the previous quarter. The GDP represents the aggregate or total monetary value of all the goods and services produced by the U.S. economy during the quarter. However, it excludes international activity. The most important aspect to look for when the GDP data is released is the growth rate. This report is widely used for measuring the rate of inflation. The data for the previous month is released around the 15th of each month. The CPI provides a measure of the change in costs of a host of consumer goods as well as services from one month to another. The retail sales data provides a measure of goods sold by the retail industry and includes sales in large chain stores to smaller local stores. Data is collected from a sampling of a set of retail stores across the country. The retail sales data for the previous month is released around the 12th of every month. The retail sales report is frequently revised significantly once the final numbers come out. On the first Friday of every month the employment data announcement is made. It includes the rate of unemployment (the percentage of the total work force that is not employed), the number of new jobs that are created, and the average hourly earnings. Markets experience significant price movements at the time of the release of this report. Nonfarm payrolls data gives a measure of the change in the number of people, excluding those in the farming industry, that were employed during the previous month. As full employment is one of the mandates of the Federal Reserve, it is very closely watched by the investor community. If the reading is stronger than analysts’ forecast, the USD often becomes stronger. On the other hand, if the reading is weaker than the forecast, the USD becomes weaker. Industrial production data for the prior month is released around the 16th of every month simultaneously with capacity utilization report. The figures are worked out on the basis of the raw volume of goods produced on a monthly basis by mines, factories and electric utilities. It also includes production from newspaper, periodical and book publishing businesses, which are traditionally considered as manufacturing. The industrial output data, used in conjunction with many industry capacity estimates, calculates capacity utilization ratios for various businesses. The industrial production data is considered as a coincident indicator. Balance of trade data is released around 19th of every month for the month that is two months prior to it. Investors and policymakers make use of the trade balance data to gauge the health of the U.S. economy. It also provides information on the country’s relationship with other countries around the world. The balance of trade report often moves the markets when released if there is a marked change from the previous period. Investors will be very happy if the trade balance remains at the current levels or falls. This is because it shows that exports are on the rise. This means that the companies that are exporting are selling more of their products and realizing increased revenues. Producer price index, read along with the CPI, provides important information about inflation. This report, released during the second week of each month, provides data for the previous month. The producer price index is a measure of the wholesale price of goods. The PPI measures as to how much producers are being paid for their goods, while the CPI measures as to how much consumers are paying for goods. The report on durable goods orders provides a measurement as to how much individuals are spending on the purchase of long-lasting goods. Durable goods are products that last for more than three years. This report is released around the 26th of every month and provides some insight into the future performance of the manufacturing industry. Consumer confidence index, released on the last Tuesday of every month, provides information on how confident the consumers feel as regards the state of the U.S. economy and their spending power. If people are more confident about the stability of their incomes, the chances of them making more purchases will be higher.